overview : Before there were parenting blogs, trophies for showing up, and peanut allergies, there was a simpler time called the '80s. For geeky 11-year old Adam these were his wonder years and he faced them armed with a video camera to capture all the crazy. 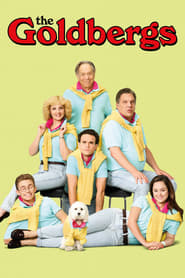 The Goldbergs are a loving family like any other, just with a lot more yelling.